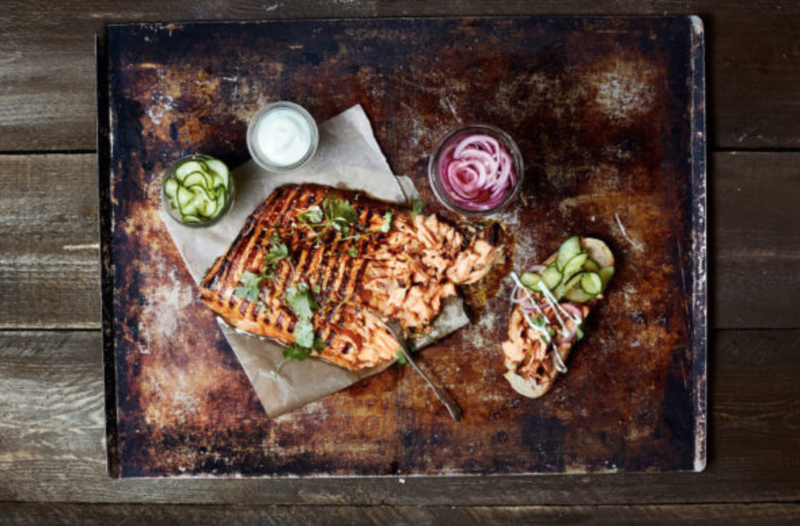 Try out these Norwegian Salmon recipes for a change! Here are a few Norwegian Fillet recipes to bring in a dash of Norwegian to the everyday! 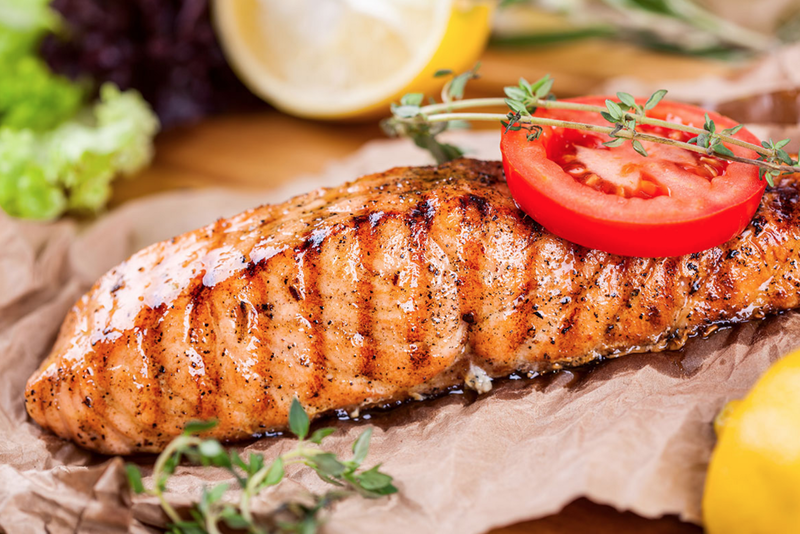 roast the salmon with a drizzle of marinade on top. noodles and add seasonings to taste. Garnish with lime juice and sesame seeds and spring onions and serve with the roast salmon on top. For this traditional recipe, first place the Norwegian Salmon skin side down on a baking tray lined with baking paper. Crush the peppercorns and juniper berries and mix them with pepper, parsley, salt, lemon juice and add some oil to create a mix. Place the ingredients on a heavy bottomed pan and simmer the mix for an hour. Brush the exposed side of the salmon with this mix and bake the salmon for 30 minutes.Serve the Norwegian salmon whole with boiled potatoes, steamed vegetables or salad. This dish is quite a hit with the taste buds! Season the Norwegian salmonfillets on both sides with salt and pepper, and coat it with oil. In a bowl, prepare a creamy herb mixture with mayonnaise, mustard, lemon juice, salad dressing among others. 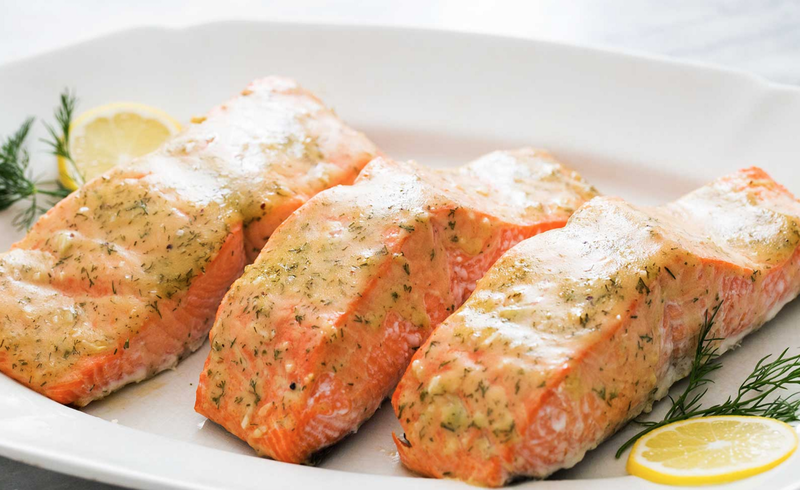 Spread the creamy herb mixture evenly over the salmon fillets. Bake for about 7–10 minutes. 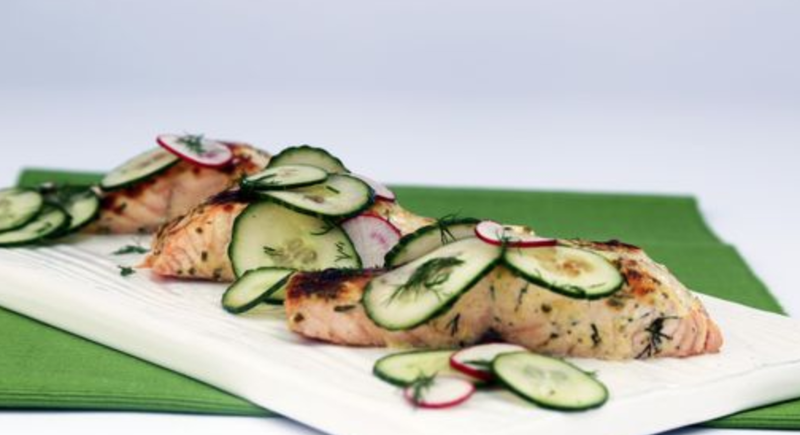 Serve the Norwegian SalmonRoast with some of the extra sauce mix on the side and a cucumber radish salad on top. To prepare the cucumber radish salad, take a large bowl and combine vinegar, oil and some herbs like dill, parsley among others and add cucumber, radish and whisk to combine after seasoning it with salt and pepper. Refrigerate until serving. This fine Indian touch to the salmon is a sure-shot winner! First, finely chop ginger and garlic and add garam masala, cumin, pepper and yogurt to it to make it a mix. Spread this marinade over the Norwegian Salmon fillets and let it lie for 3 hours. Then grill (tandoor) these salmon fillets on each side. Serve with naan bread and raita. Prepare the raita by the following process: shred peeled cucumber on a grater and strain the liquid. Finely chop garlic, coriander and mix it with the cucumber, yogurt and cumin and season with salt and pepper. Salmon and Mexican never seemed cooler! Finely chop onion and fry in oil and add some taco seasoning. As it boils add the salmon along with some taco sauce. Place the lid and simmer for a minute. Warm the tortilla wraps as per instructions. 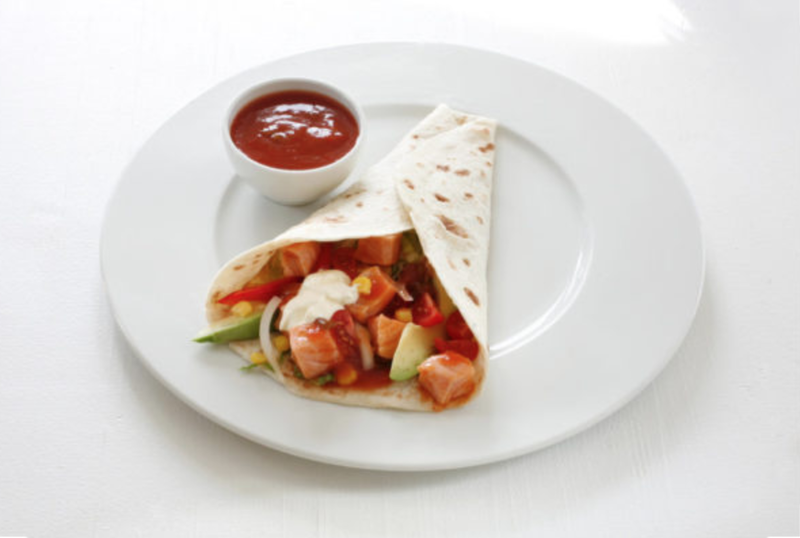 Once done fill up the tortilla wraps with salmon, vegetables and cheese and serve with light sour cream. A hint of zing to the daily is never regretful! First chop the coriander and make sure to use only the stalks and keep the leaves for garnish. In a bowl mix the coriander stalks, soy sauce, paprika, cumin and chopped garlic. 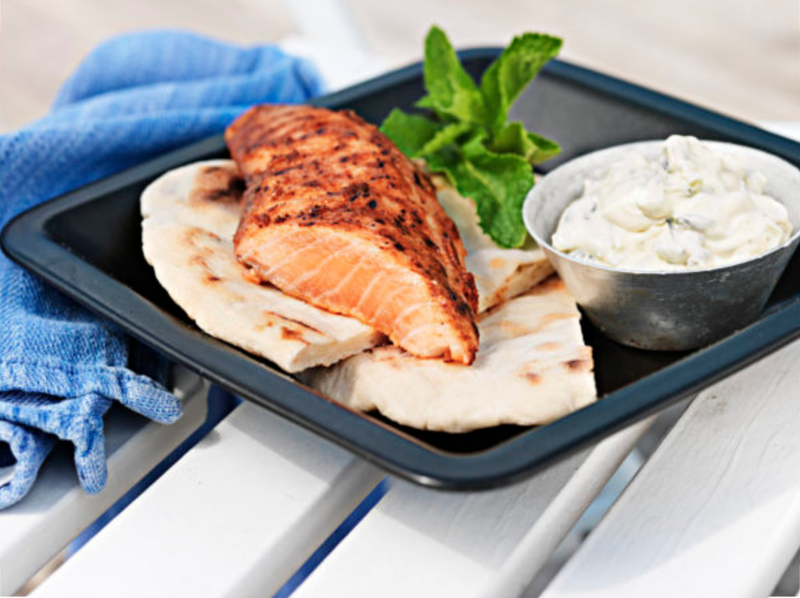 Rub the Norwegian Salmon Fillets with marinade and leave it for an hour such that the salmon absorbs the flavours. Peel and slice onions thinly and season with salt and some lime juice! Mix it all up and leave it overnight such that it softens. Slice some cucumbers and mix it with salt. Leave it for 30 minutes and then squeeze out the excess water. Mix some vinegar, water, sugar, and spices to create a solution and stir until the sugar has dissolved. Leave it standby for at least an hour after adding cucumbers to the solution before serving. bread. Or you can simply serve with roast potatoes. So the next time you get some freshly organic Norwegian Salmon Filletshome-delivered from LionFresh, you will have a variety of ways to make it interesting!